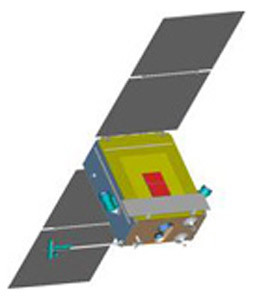 BelKa 1 is a remote sensing satellite that utilizes the Victoria universal satellite bus. Developed by Rocket and Space Corporation Energiya, Russia, under a contract with TSNIIMASH-Export, Russia, for National Academy of Sciences of Republic of Belarus as the final customer of the satellite. The resolution up to 2.5 m and four spectral channels of the target-oriented equipment allow for national economic tasks to the benefit of MINECONOMRESURS, Ministry of Natural Resources, Federal Geodesy and Cartography Service, EMERCOM, etc. In addition to key tasks the spacecraft will enable scientific and applied researches in the Earth and atmosphere remote sensing. The launch was not successful, as the Dnepr failed 86 sec after launch.